How Do I Know If My House Needs A New Paint Job? Giving your house a new coat of paint is a great way to completely change the look of your home. The process of painting it however, isn’t a quick one. It takes resources, time and planning to paint a house. So how do you know if your house is ready to be repainted? There are three signs that can help you determine when it’s time to paint your house. If you’ve owned your home for a while, or you just want to change the look of your home to suit you better, that’s reason enough to make some changes. There are a few different ways to spice up your house’s look. For example, you can buy new furniture, or make architectural renovations. However, these two examples, and many other methods cost a lot of money, and take a ton of time and effort. If you want a change, but don’t have a ton of time or money to spend, there’s a better option. Painting is much easier and less expensive than replacing your furniture or changing the shaping or walls of your home, but it can still make a dramatic difference. New wall color and some simple décor changes may be all it takes for you get the look you want. So, before you decide to change all the furniture or make other expensive changes, consider whether or not painting your house will do the trick instead. If your house is showing signs of aging, it might be time to repaint it. No paint job lasts forever, it’s just a matter of time before yours starts showing wear. 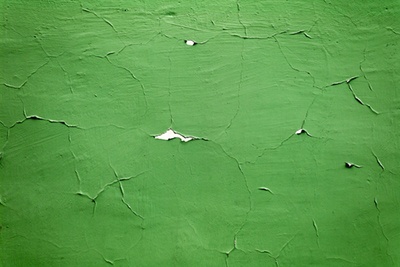 Some signs that your paint job is getting old is cracking, peeling, and fading. These are especially common on external walls, since they’re exposed to the elements. If you only have these issues in small, isolated areas, you might be able to patch it, rather than painting the entire thing. But, if the signs of age are widespread then it is time to paint the exterior of your house. Damage to your paint job is pretty unavoidable, especially after years. There’s simply no avoiding a certain amount of wear and tear in a house. If there are a couple small spots of damage, you will probably be able to simply touch up that area. However, if the damage is all over the place, you might want to just paint the entire house. These are just a few reasons you might repaint your house. It’s the easiest way to upgrade your house without spending a ton of money. Don’t decide on making huge, time consuming and expensive changes without considering a new paint job first. This might be just the thing you need to spice up the look of your house. Call your local painting contractor and ask for an estimate and some recommendations before you make a decision.